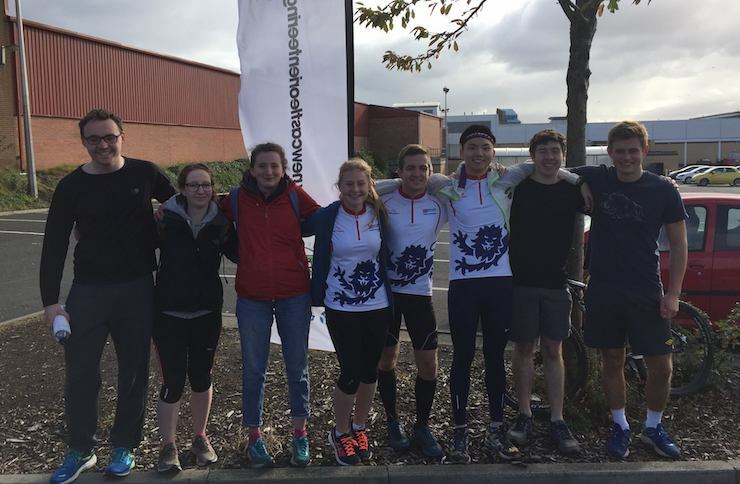 On possibly the coldest Saturday morning this year, members of the Fell Running and Orienteering Club gathered at Central Station ready for the most exhausting but fun weekend in their calendar. For those that had never been to the Edinburgh Big Weekend they had no idea exactly what was in store; other than a lot of walking, running, and dancing. 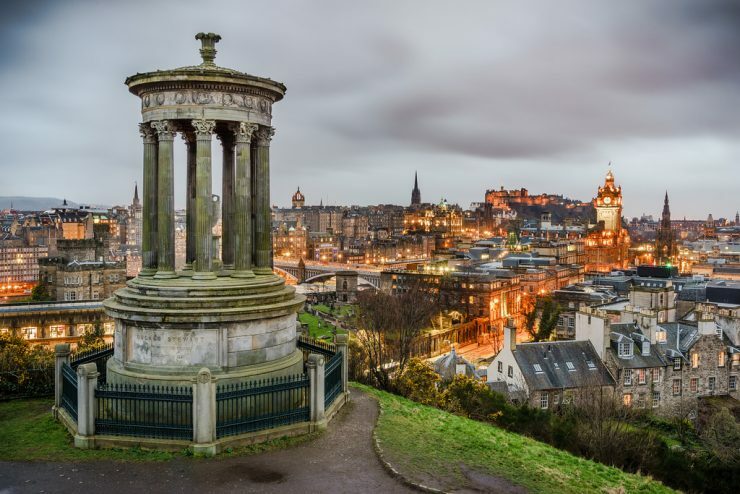 As the members had come to expect from previous years, three days before everyone descends on Edinburgh, the organisers from Edinburgh University release the final details and reveal exactly what they have prepared. In just over an hour, the train arrived in the Scottish capital, and as expected it was far colder than the ‘Toon’. Although many of NUFOC’s members were sleepless from revision or desperate completion of assignments, or worse, both, they arrived in Edinburgh ready to race! 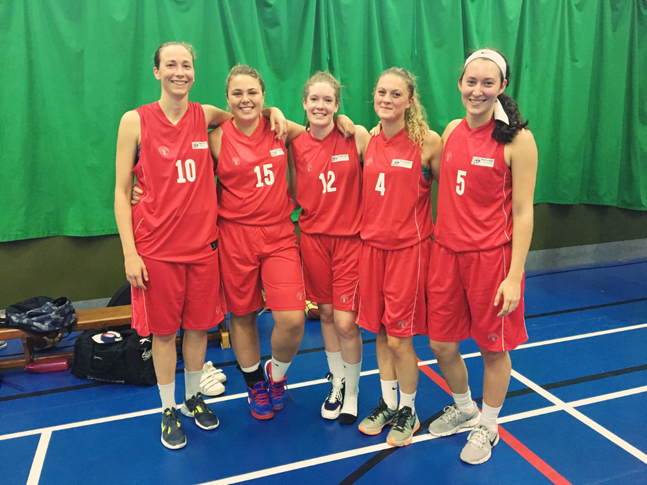 After arriving and replenishing their energy at the hostel, every member could not wait to set off onto their first event of the Big Weekend – the urban ‘sprint’ course. Due to low temperature and icy paths, the results were unfortunately voided, for the competitor’s safety. But if you think ice or freezing weather was going to stop representatives from Newcastle University, then you’re wrong. Participating in the men’s open and women’s open divisions, team members navigated their way through different streets, levels, and estates. To matters worse, some surfaces were covered in sheet ice, however that didn’t put anyone off. A sense of achievement ran through everybody as they finished their 16km or 12km journey through the notorious Greyfriars Kirkyard leading to the finishing controls, set up in the Hogwarts-inspiring – George Heriot’s School. That evening was time for everyone’s favourite part of the weekend – the Ceilidh (Kay-lee) – a traditional Scottish dance that always gets everyone on their feet. As the weekend fell on Burn’s weekend, many of the Scottish orienteers donned their Kilts and addressed the haggis, before giving everyone a taste of the Scottish delicacy. The live band instructed them through the dances and they paired up to swing around the room, the night was finished by a rendition of Auld Land Syne. The next day was a traditional orienteering event that takes place on Arthur’s Seat. Breakfast that morning was a full Scottish Breakfast to fuel the orienteers through the day. When they arrived at the start they took their customary group photo before heading out on the various courses. NUFOC had someone braved the longest and most technical ‘Brown’ course as well as members running the Blue, Green, Short Green, and Light green courses. All these courses vary in length, but the navigation skill required is still high. 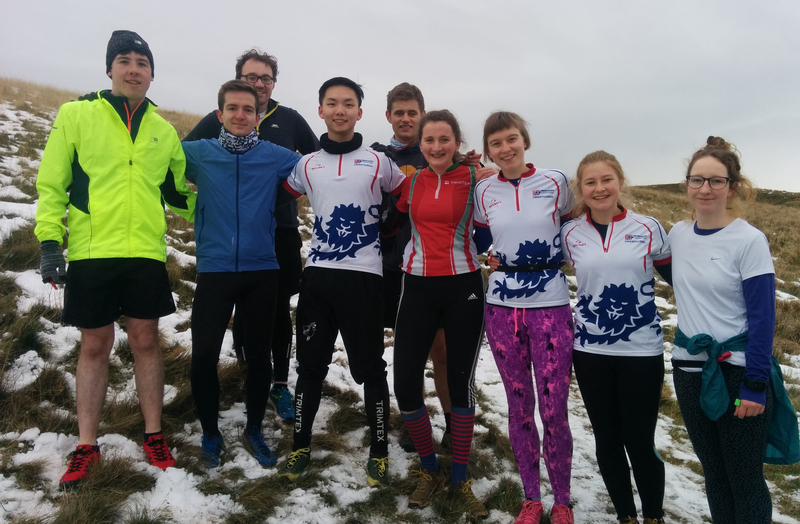 Each course took the orienteers to the top of Arthur’s Seat and had them zig-zagging across before bringing them back down for a sprint finish. In previous years the weather has been clear and sunny but around 20 minutes into our races the snow began to fall and would only get worse. The orienteers’ navigation had to be spot on as they were orienteering in a blizzard and visibility was only a few metres in the distance. The features they were looking for became buried in snow and the ground was slippery and difficult to run on. They all made it back to the finish, having thoroughly enjoyed the test to their orienteering skills. 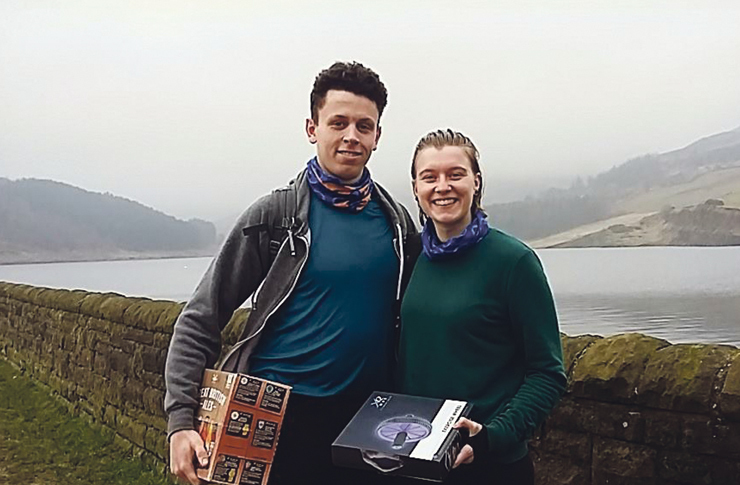 Due to their later start times they were some of the only competitors to orienteer in those conditions, so everyone did really well to complete their courses. They were all shattered after the full-on weekend, so the train home was a quite one. I think its safe to say they all slept well that night!